Netflix just notched a stellar quarter - a record-setting one, in fact - allowing the streaming king to flex its muscles once again in an increasingly crowded and ever-evolving space. The service added 7.05 million net new members around the globe during Q4 2016, beating the 5.59 million subscribers it gained in the same time last year and its own expectations for the quarter. "This was the largest quarter of net additions in our history and was driven by strong acquisition trends in both our US and international segments," Netflix wrote in a letter to shareholders. International growth continues to be the biggest driver for Netflix - 5.12 million members outside the US joined in Q4, with 1.93 million signing up stateside. Both figures best Netflix's new member growth performances for Q4 2015. Netflix expects to add 5.2 million members in Q1 2017, leaning on original content and local programming to draw in new eyes. CEO Reed Hastings said during an earnings broadcast he'd like Netflix to reach 99 million total subscribers by the end of the quarter. Netflix currently has over 86 million members in over 190 countries. Hastings has said previously he predicts Netflix will reach 100 million subscribers in 2017. Despite its excellent performance over the last three months, Netflix is acutely aware that "Internet video is a global phenomenon," to quote the shareholder letter, and was quick to point out that when it comes to minutes spent watching video content, YouTube is still Number 1. The competition is stiff everywhere: Hulu, Amazon Prime Video, and traditional broadcasters are all bolstering their arsenal of streamed content and services at competitive prices. Just today, Hulu's CEO revealed the company is working to deliver offline viewing in a few months. Netflix introduced the ability to download content to mobile devices late last year. 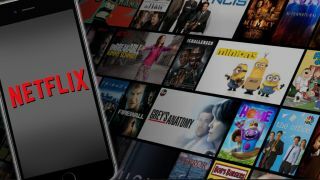 Netflix also named-checked Facebook's focus on video, rumors Apple plans to add video to its music service, and the BBC's move to "go binge-first with new seasons" on iPlayer as more salvos in the streaming wars. The company went so far as to "presume HBO is not far behind the BBC" in terms of gearing up to deliver entire seasons online before episodes air on TV. Whether Netflix has special knowledge of HBO's plans we can't know, but it seems to have its finger firmly on the industry's pulse, and feels confident enough to have a say on HBO's next move. We've asked HBO whether it plans to introduce binge-first viewing, and will update this story if we hear back. By now, the streaming king is used to competition in the "internet TV world", and wrote the climate "presents both challenges and opportunities for Netflix as we strive to earn screen time." How that plays out in the year to come should make for must-see viewing.